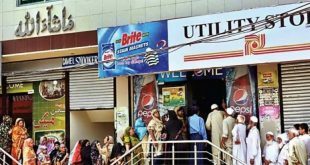 The national savings of Pakistan today announced the Winners List of 750 Prize Bond Result Draw #75 List, 16-07-2018 in Faisalabad city. 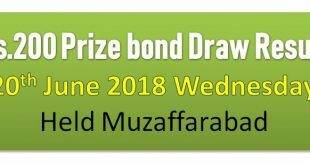 Rs 750 Prize Bond Draw # 75 held in Faisalabad on 16 July 2018. The all No. Of prizes are 1 3 and 1696 for first second and 0.33 prize correspondingly for Rs 750 Prize Bond draw. The first prize 2nd prize and third prize have a well worth of Rs. 1500000 500000 and 9300 respectively. There are also 1696 winners for the 0.33 prize well worth Rs. 9300. The winners of Rs 750 Prize Bond draw # 75 held on 16 07 2018 City Faisalabad. The winner of 1st prize worth Rs 1,500,000 is 374125. Three winners of 2nd prize worth 500,000 : 006662, 958183 and 554796. Winning numbers might be updated rapidly. Prize Bonds are extensively mentioned as a secure and relaxed funding. Salaried Individuals and small buyers can effortlessly spend money on those prize bonds and attempt their fortune without the risk of loss of their difficult earned cash. Rs 750 prize bond is the best prize bond for investment. The bond is good for humans with low earnings. It now not only a secure funding but also gives them possibility to win prizes via the lucky draw. Rs 750 prize bond draw held after each 3 months because of this that you may strive your fortune 4 times in a year . The voting of prize bonds worth Rs.750/- every turned into held Today in Faisalabad on July 16. The Draw quantity is seventy five. The winner of the prize bond announced prize bond quantity 374125 received the quantity of 1500000 PKR. The second prize winners are 006662 554796 958183 all of them gained Rs. 500000 Third prize of turned into provided to 1696 lucky winners.